Tom Brady's suspension for the first four games of the 2016 season hasn't proved to be the speed bump the Patriots' division rivals had hoped. Armed with a stout defense, a surprisingly strong running game, and a young backup quarterback proving more every game he deserves to have a starting gig, the Pats haven't missed a beat. In fact, the situation kind of reminds us of how the Patriots were when Tom Brady first entered the national consciousness. 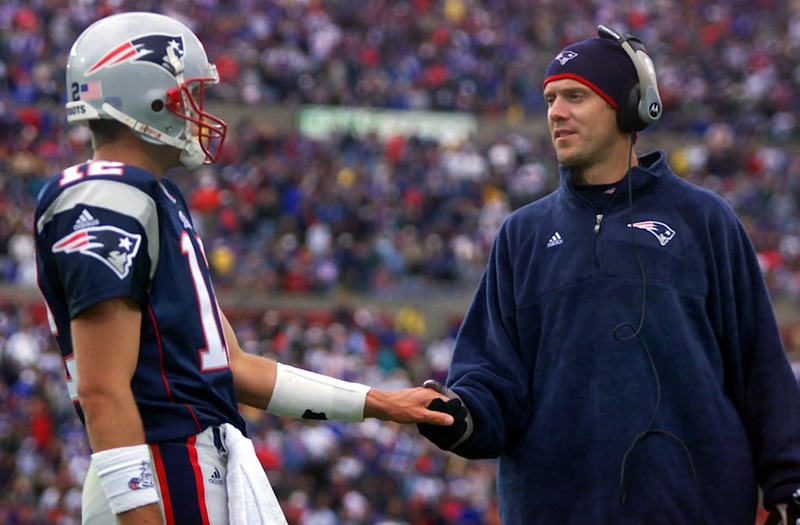 Back in 2001, it wasn't a suspension, but an injury to incumbent starter Drew Bledsoe that threw Brady into the fire. It wasn't just any injury, either — it was due to an absolutely hellacious hit by then-Jet linebacker Mo Lewis, which caused serious internal injuries as well as a concussion to Bledsoe. The Patriots were coming off a 5-11 season in 2000, and the game in which that hit happened sent the Pats to 0-2. New England looked destined for another losing season. On top of that, Brady's first start of that 2001 season was against Peyton Manning's Colts. An 0-3 start would have all but ended New England's postseason chances before they even hit their bye. Good thing they won 44-13. Fifteen years later, it's easy for our memories to play tricks on us — many simply remember that Brady came in, the Pats were off and running, and they never looked back, even when Bledsoe returned from his injury. But that wasn't necessarily the case — Brady was solidly in the classic mold of a game manager that first start, finishing 13-23 for 168 yards and no touchdowns. The scores came from the two-headed rushing attack of Antowain Smith and Kevin Faulk (remember those guys? ), and two interceptions returned for touchdowns. Of course Brady wasn't ready to put on his hero costume quite yet. How could he be, in his first start during his second year in the league? Brady was all too happy to hand the ball off, as he said in postgame comments. "As a quarterback, you are glad to be in situations where you don't have to throw the ball all over the place," Brady said. "Believe me, I like seeing Antowain bust one down the left sideline. I like seeing the backs of Antowain and Kevin when they are running hard down the field with the ball." After a truly dismal performance the next week against the Dolphins (50 percent passing for only 86 yards), the Tom Brady we've all come to know showed up. In their second game against the Colts in Week 6, Brady was 16-20 for 202 yards and three touchdowns, good for a passer rating north of 140. THAT is when the controversy really gained legs over whether he should remain the starter in place of Bledsoe, and that's also when the kid gloves came off the Patriots' offense. Of course, we know that they went on to win the Super Bowl that year, but it's important to remember that even as Brady proved his competence (and proved Belichick right for sticking with him), that Patriots' team was defense-first. With Ty Law and Lawyer Milloy in the secondary, Tedy Bruschi and Willie McGinest as linebackers, and a front line with a young Richard Seymour and Roman Phifer, they were a stacked team that only allowed 20+ points one time after Week 8 and never during the playoffs. During those playoffs, Brady was all but in a turtle shell. He passed for a total of one touchdown in his three games, just as many as Bledsoe — who came in as a backup himself when Brady was hurt during the conference championship game against the Steelers and saved New England's bacon. It was the defense that shut down high-powered offenses like Rich Gannon's Raiders and Kurt Warner's Rams on the way to the Lombardi trophy. Tom Brady is a legend and an all-time great now, but it's instructive to remember that he didn't arrive, fully formed. Just like Jimmy Garoppolo, he was a somewhat promising-if-untested youngster who did well when thrust into unexpected duty. Garoppolo has even more of a pedigree, considering he was a second-round pick rather than a sixth, and while Brady is miles beyond where Bledsoe was in terms of legacy, prestige and actual skill, he still remains as an example for how good a random backup can be if you give him a shot.